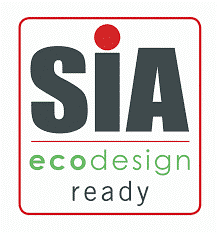 Here at Mystove we only sell and install stoves that are Defra approved and Ecodesign ready! If you are considering a wood burning stove for your home, why not call us to discuss your ideas? 01444 212677 or send an enquiry. We also have a range of carefully chosen stoves on display in our showroom here in Burgess Hill. The first step towards enjoying the benefits of a wood burning stove in your home is to contact us to arrange your free home survey. We will assess the work required to install your stove and discuss your needs. There are several types of wood burning stove and many styles and sizes to choose from, depending on your own taste and the style of your home. Some stoves are also available in a choice of colours too. A cosy wood stove burns seasoned logs making it the eco-friendly choice for heating your home! Wood burners are 80% more efficient than an open fire and 33% cheaper to run than gas central heating.